Transmitting Information: Business report is very important for transmitting information from one person to another or form one level to another. Although a manager can personally collect required information in a small scale enterprise, it is not possible in the context of a large scale organization. In the latter case, the managers rely on reports for obtaining necessary information. Interpretation and Explanation of event: Report provides interpretation and explanation of information. As a result, readers can easily understand it. Making decisions: A report is the basic management tool for making decisions. The job of a manager is nothing but making decisions. Reports supply necessary information to managers to solve problems. Communication with external stakeholders: In addition to internal use, reports also communicate information to the external stakeholders like shareholders, creditors, customers, suppliers, government officials and various regulatory agencies. In the absence of formal business report, such stakeholders would remain at dark about the organizations. Development of information base: Reports also contribute to the development of information base in organization. It develops information base in two ways. Firstly, day to day information is recorded permanently for writing reports. Secondly, the written reports are preserved for future reference. In these ways, reports help in developing a strong and sound information base. Developing labor-management relationship: Reports also help to improve labor-management relationship particularly, in large organizations. In a large organization, there is little opportunity of direct communication between top-level management and employees. In this case, report is used as mechanism of keeping both sides informed about each other and improving their relationships. Controlling: Controlling is the final function of management. It ensures whether the actual performance meets the standard. In order to perform the managerial function of controlling, report serves as a yardstick. It supplies necessary information to impose controlling mechanism. Recommending actions: Reports not only supply information but also recommend natural actions or solutions to the problem. When someone is given the charge of investigating a complex problem and suggesting an appropriate remedy, the investigator usually submits a report to the concerned manager. Above discussion makes it clear that reports are the commonly used vehicles that help mangers in planning, organizing, staffing and controlling. In a nutshell, report is indispensable for carrying out the management functions. 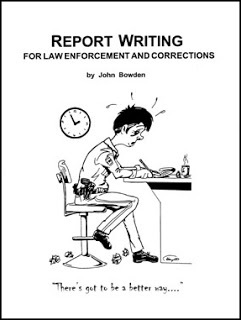 Report is the nerve of an organization that circulates information. For business report as well as building customer relationships, you should use CRM software. Check this video to get best CRM software for your small business. I’m using HubSpot CRM, and it’s free.